With us, you have your exact needs for a scrap car and cash to boot! We aren’t the typical buyer that meets you to go over your scrap car with a fine tooth comb and then lowball you in its price. We are the buyer that allows you to tell us all the good and bad about your car and then makes you a fair price for the car. Our company is one that is reputable and a scrap car buyer that scraps cars for cash. With our expertise and skills, we can make you a top cash offer up to $9,999 Cash for your Scrap Car. We put top cash in your hand as we maximise its value through state of the art scrapping. When we are finished with your scrap car, it is processed into new metals and components. We make instant cash for car payments up to $9,999 cash. We provide courtesy services that increase the value of your sale: no paying removal fees & no paying scrapping fees. Scrap Car Removal Adelaide is South Australia’s leading ‘Scrap Car Buyer’ for a reason!! We are second to none. 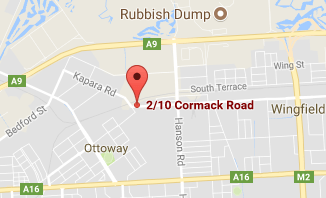 At Car Wreckers Adelaide, we remove scrap cars as a courtesy to all our Adelaide customers. Our removals are quick and convenient, leaving cash payments up to $9,999 in the hands of our customers. Our wreckers can typically schedule a removal at any time of the day, any day of the week, so you have the courtesy of a time convenient for you to have your car purchased and removed. Get a courtesy removal by calling Car Wreckers Adelaide for a cash quote for your car for sale. Your car may be in scrap condition, but why let it continue to deteriorate? 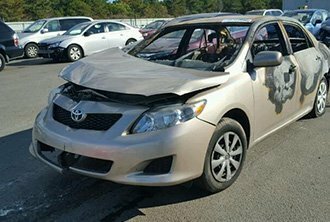 Car Wreckers Adelaide is a buyer that will make a cash payment for the car and provide our expertise in scrapping cars as a courtesy. Our scrappers take otherwise useless cars and turn them into an eco-friendly disposal that converts the scrap metals of the car to newly recycled metals for cash for their owners. The process is one that is considered the green way to dispose of scrap cars and one that is quite profitable for scrap car owners in Adelaide. Car owners contact a Car Wreckers Adelaide appraiser over the phone or online for an instant Cash for Scrap Car quote. Please be as descriptive as possible with the condition of the car. Accept or reject our cash quote. All quotes are offered with no obligation to accept the quote. Schedule a “free scrap car removal” anywhere in Adelaide at a time convenient for you.